Onsite co-working spaces boasting coffee bars and Mac computers. Branded bikes, toy sailboats and takeaway picnic baskets, meant to be enjoyed on a Central Park outing. Access to a fun-filled courtyard, with ping-pong tables, fire pits and an adult treehouse. These are just some of the amenities that new luxury condominium and high-end rental buildings in major U.S. cities are including with a specific demographic in mind: well-to-do urban millennials. These 19- to 35-year-olds are all about their lifestyle, experts say, which is part of why these amenities appeal to them. Many work from home, get around by bike, and put a big emphasis on experiences over possessions. 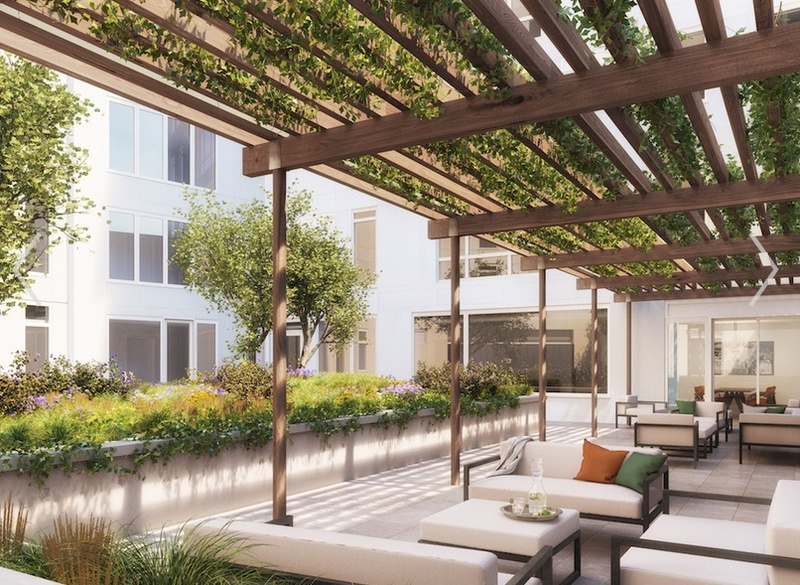 In addition to functional yet comfortable shared spaces that foster collaboration and connection, millennials are also all about convenience, said Maile Aguila, the senior vice president of South Florida-based Swire Properties. As a result, new high-end rental and condominium buildings being raised within massive, mixed-use developments, like Reach and Rise in Miami’s Brickell City Centre and the residences in Los Angeles’ Playa Vista development, are also a good fit for this group. But while a convenient location and enticing amenities were once enough, that’s no longer the case, experts say. Mr. McInerney agreed, noting that this interest in programming likely came from the success of concierge services that could handle things like dinner reservations and theater tickets. At MiMA, a high-end, 500-unit rental building in Manhattan’s Hell’s Kitchen, Chris Schmidt, the vice president of Related Properties who oversees the building’s leasing, said about 35% of residents are millennials. Programming in the building includes an outdoor summer movie series, regular dog-friendly “yappy” hours, and a building basketball league, which plays its games on a full-size, indoor court. “This sense of community and wealth of amenities is critical,” he said. Other buildings hold group yoga classes, host book clubs or cooking classes and lead wine tastings. And at YOO on the Park, a 245-unit rental building set to open in Atlanta later this month, there will be an on-staff lifestyle director—a modern day Julie from “The Love Boat,” said Scott Leventhal, the president and CEO of development firm The Trillist Companies, noting that most millennials won’t get that reference. In addition to programming shared spaces with a social-focused tenant in mind, the design aesthetic within them has also gone through a recent transformation, said Karen Asprea, the director of Manhattan-based design firm Whitehall Interiors. “We’re designing more for community experience,” Ms. Asprea said, which has meant as much open space as possible, with fluid transitions between the library, the lounge and the kids’ playroom, plus long communal tables in work spaces and large demo kitchens in party rooms. While these types of amenities and updates have grown increasingly popular in luxury developments with condos priced between roughly $1 and $8 million and rental units that cost up to $10,000 per month, it’s important to note that millennials aren’t the only ones benefitting, as many of the buyers and renters in these buildings are much older.